It is with pleasure that we welcome our first Author of the Month of 2018: P.D Newman, and his radical interpretation of Masonic symbolism, Alchemically Stoned: The Psychedelic Secret of Freemasonry. 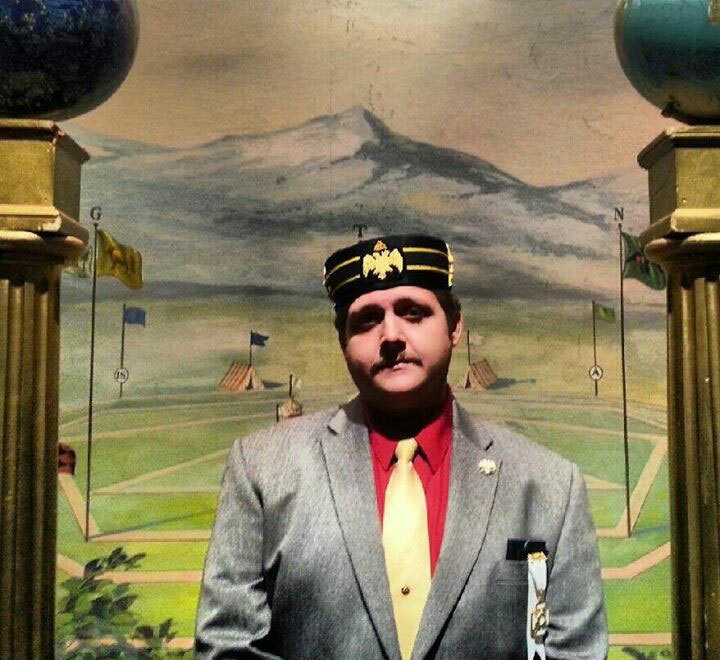 – Arturo de Hoyos, 33°, Grand Archivist and Grand Historian, Ancient and Accepted Scottish Rite, Southern Jurisdiction. 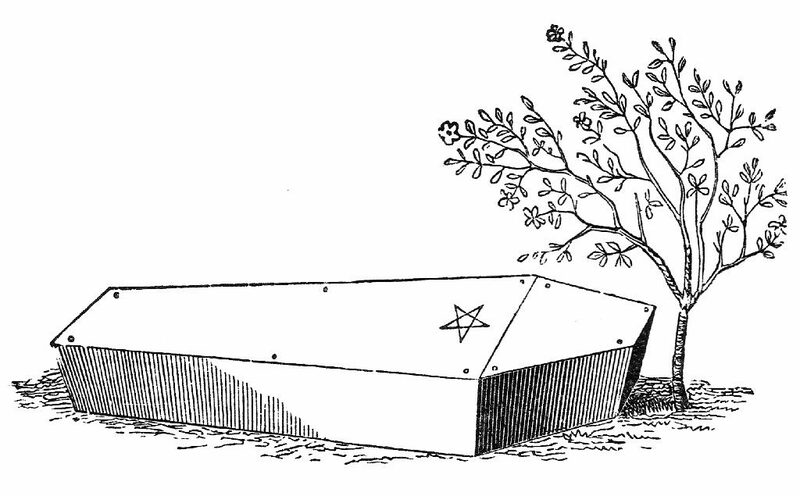 A Master Mason tracing board, featuring a sprig of acacia at the head of the grave of Hiram Abiff, the central character of an allegory presented to all candidates during the third degree in Freemasonry. In the earliest versions of the Master Mason degree there is no mention made anywhere of a sprig of acacia. Rather, the references are to a sprig of cassia; a different plant altogether possessed of no real psychotropic value. Cassia, i.e., Cinnamonum cassia, is an evergreen originating in southern China, whereas acacia is a genus of nearly one thousand species, with all but ten of those having their origin in Australia. Nearly one hundred of them are known to contain DMT. It has been suggested that the original inclusion of cassia in the Master Mason degree was an error that likely arose “from the very common habit among illiterate people of sinking the sound of the letter a in the pronunciation of any word of which it constitutes the initial syllable.”ii Acacia would therefore have become cassia. However, we are not so convinced. There is no evidence supporting the supposition that the switch from cassia to acacia was not a deliberate one. From 1745 onward the change appears to have been accepted nearly universally. Who, if anyone, is responsible for this switch? We do not know. But, if it was intentional, it is suspected that the change must have arose with a prominent Freemason who also was a knowledgeable, practicing Alchemist. For, it was the Alchemists who were preoccupied with the production of a miraculous stone, the lapis philosophorum or philosopher’s stone, from the mysterious prima materia, or first matter. For certain of the Alchemically-inclined Freemasons, this stone was none other than DMT salts (a veritable vegetable stone) that had been extracted from certain species of acacia. Truly, acacia is referred to precisely as the prima materia by both Cagliostro and Melissino in the respective Alchemico-Masonic rites authored by them. The same is true of the Fratres Lucis. P.I. 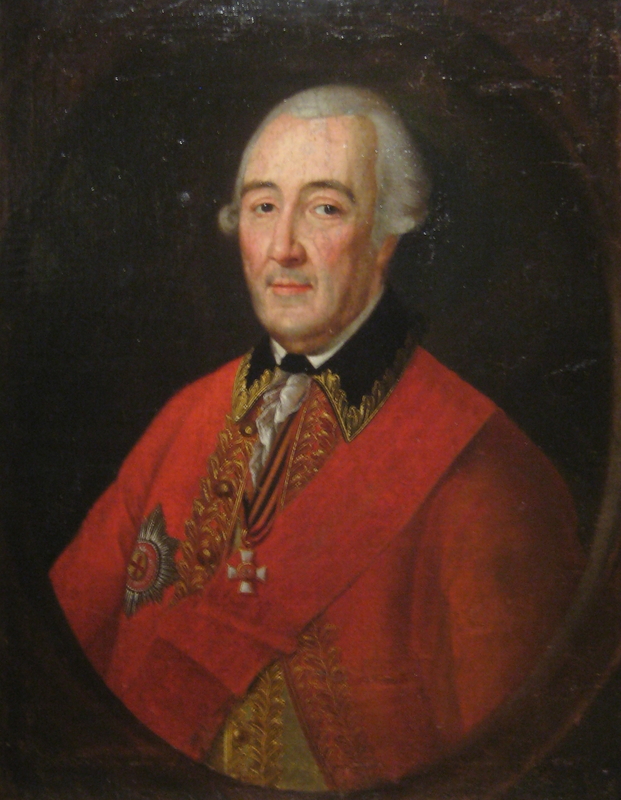 Melissino (1726 – c. 1797), a General of the Artillery of the Russian Empire, is widely considered to have been the best Russian artilleryman of the eighteenth century. 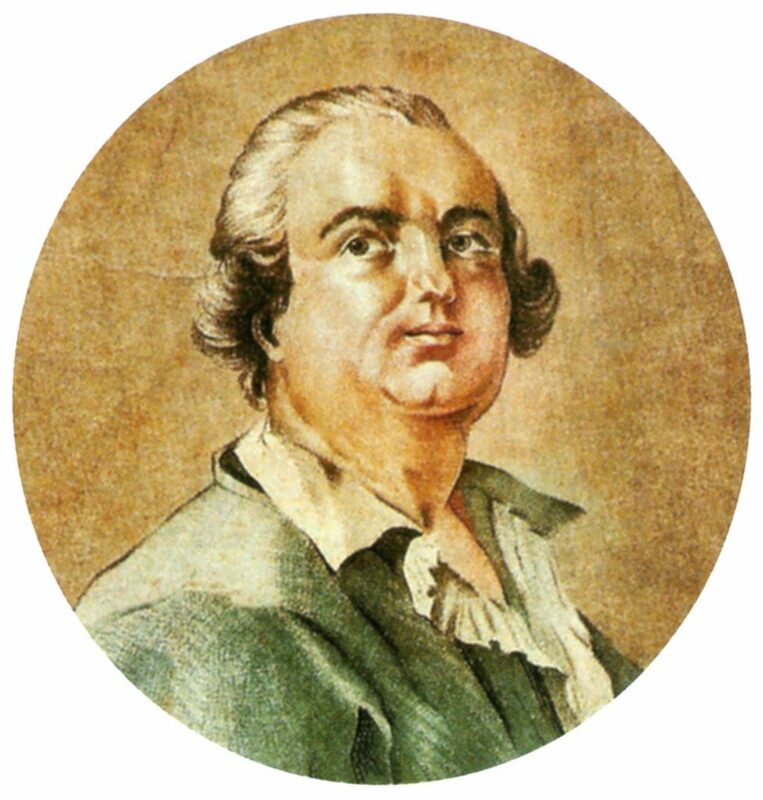 Count Alessandro di Cagliostro (1743-1795) was the alias of the occultist Giuseppe Balsamo. He became a glamorous figure associated with the royal courts of Europe, where he pursued various occult arts, including psychic healing, alchemy and scrying. The principle goal of Alchemy was (and is) the production of the lapis philosophorum. The Alchemical axiom states that the coveted stone is made “not of stone, not of bone, not of metal.” That is to say, it comes not from the mineral kingdom and not from the animal kingdom. It must, therefore, be deduced that the true stone of the philosophers is to be found only within the vegetable kingdom; namely, within the sprig of acacia, Masonry’s prima materia. Unfortunately, many present day Alchemists are content to produce stones from virtually any mineral, metal, plant, or animal, ascribing the value of those stones solely to their possessed planetary signatures. However, for a stone to meet the criteria of the true stone of the wise, imagined planetary signatures will not suffice. It must first satisfy specific requirements, chief among them being the conferral upon its possessor of the gift of immortality. The Alchemical vocation is no vain search for physical immortality. Bodily longevity is not the variety of immortality here described. The mythologist explains rightly that “the search for physical immortality proceeds from a misunderstanding of the traditional teaching. On the contrary, the basic problem is: to enlarge the pupil of the eye, so that the body with its attendant personality will no longer obstruct the view. Immortality is then experienced as a present fact.”iii Indeed, the Alchemists purport that the stone of the wise has the power to give its possessor the knowledge of his very immortal soul. Hence, it’s also being called the stone of projection. For, the soul of its possessor is the very thing that appears to be projected upon the stone’s proper application. Liberated from its bodily frame, the stone-projected soul is free to roam and explore the so-called astral plane, loosened from the limitations of its corporeal container — a concept that has come to be known as an outer body experience. Conveniently, there exists a special class of truly magical and mystical plants that actually satisfies the above listed criteria. We speak here of entheogens. As the word implies, entheogenic plants are those which generate an experience of one’s divinity within; that is, entheogens have the potential to facilitate what appears to be the direct experience of the reality of one’s own immortal soul; of the continuity of individual consciousness independent of the mortal frame. And, certain species of acacia constitute a portion of these plant entheogens. 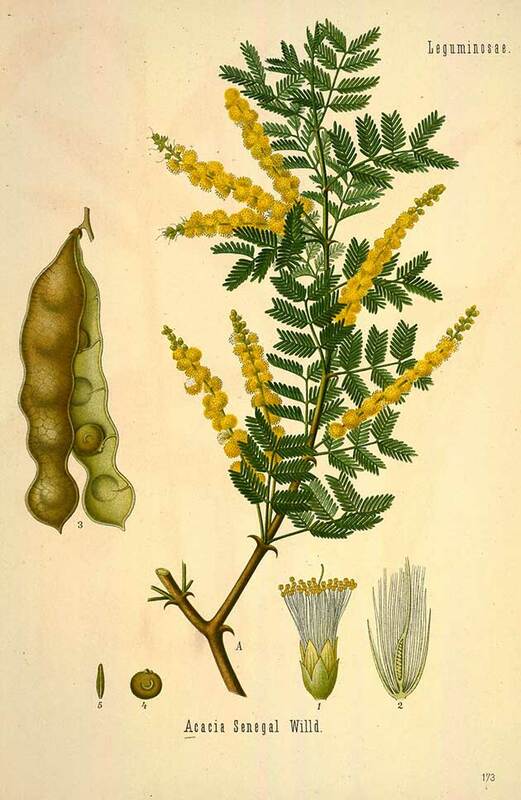 In the Apprentice and Companion rituals of Count Alessandro di Cagliostro’s Egyptian Rite, the acacia is specifically referred to as being the primal matter in a very particular Alchemical operation. When properly executed, this operation results allegedly in the production of a “cubical ashlar,” that is, the result is a purified, crystalline stone or salt that has been extracted, or, to use Alchemical terminology, produced from the acacia tree. This stone is then dissolved into a “red liqueur,” which is afterward imbibed by the candidate for initiation. The candidate…shall drink [the red liqueur placed on the Master’s altar] raising his spirit in order to understand the following speech which the Worshipful Master shall address to him at the same time. ‘My child, you are receiving the primal matter …Learn that the Great God created before man this primal matter and that he then created man to possess it and be immortal. Man abused it and lost it, but it still exists in the hands of the Elect of God [Elus Cohen?iv] and from a single grain of this precious matter becomes a projection into infinity. If not for its DMT content, we cannot conceive of any reason why Cagliostro would have his initiates literally drink a concoction of acacia, especially when considering the fact that the libation was expected to “raise” the candidate’s “spirit” so that he might “understand” Cagliostro’s corresponding lecture. Nor is it conceivable in any other than an entheogenic context how a “single grain” of Cagliostro’s acacia stone might become a “projection into infinity.” In our estimation, this was clearly no symbolic ritual act. Granted, there is no mention made in Cagliostro’s Egyptian Rite of a monoamine oxidase inhibitor (MAOI) containing plant, the same which would normally be necessitated in order make DMT orally active, as in the case of the Amazonian jungle brew ayahuasca. However, there are yet two other possibilities. The first is that, if enough is consumed, the DMT may be able to overwhelm the MAO within the gut, thereby making it orally active without the need of an MAOI. The second possibility is that, being Beta-carbolines, certain flavonoids present in some species of acacia (such as A. confusa) may work as functioning MAOIs. J. Erik LaPort, one modern-day practicing Alchemist, is currently doing some important research in this area. Gum acacia or gum arabic tree, ‘Acacia senegal’. Chromolithograph after a botanical illustration from Hermann Adolph Koehler’s ‘Medicinal Plants’, edited by Gustav Pabst, Koehler, Germany, 1887. 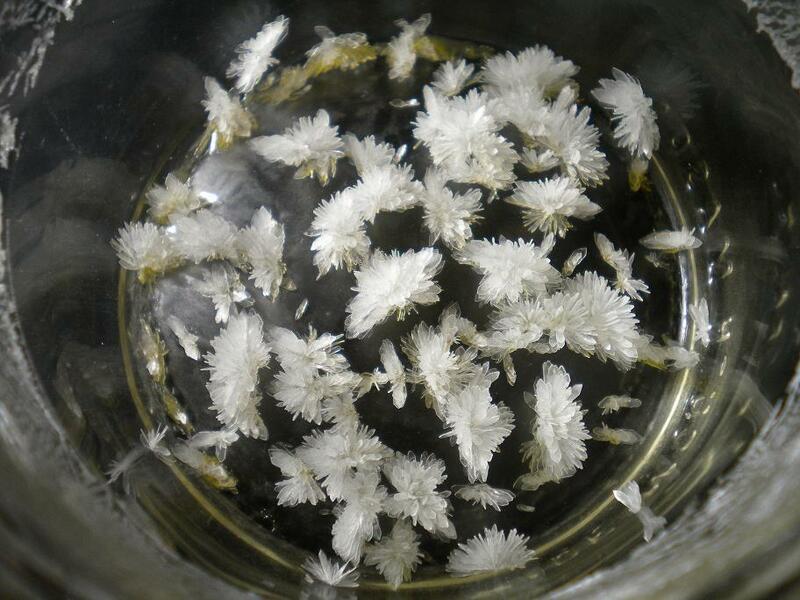 N,N-Dimethyltryptamine (DMT or N,N-DMT) is a tryptamine molecule which occurs in many plants and animals. It can be consumed as a powerful psychedelic drug and has historically been prepared by various cultures for ritual and healing purposes. Rick Strassman named it ‘the Spirit Molecule’. In most countries, DMT is illegal. As was shown with Cagliostro’s Egyptian Rite, the Fratres Lucis lectures relate an Alchemical interpretation of Masonic ritual which again appears to point to the extraction of DMT from acacia. The “Matter” is to be found in the earth, that is, in the roots. For, the highest concentrations of DMT in the acacia are to be found within the root bark. The removal of the clothing or “stripping of the veil with which nature has clothed,” the “Matter” is therefore likely the stripping of the superfluous material; all but the DMT. The removal of the shoe is perhaps an allusion to the stripping of the bark from the roots of the acacia; the ‘other poniard’ which is “thrust into the bosom of [the] Matter until it pours forth blood,” to the chemical solvent used to extract the compound, etc. etc. “The cubical stone [produced from the first matter] is the alkaline Universal-salt …The Master Degree speaks to us of the acacia found upon Hiram’s grave. This is the true [first] matter, from which the philosophers create their treasures. It is the true light of the world, from which glorious Hiram shall rise again under the guise of the Redeemer. It is the burning coal of which Isaiah (in chap. 6:6-7) and Ezekiel (in chap. 10:2) speak, and which must be prepared in accordance with the secret system of the wise men of old and the philosophers. What other than DMT could the “treasures” and “riches” created from acacia by Cagliostro and Melissino have been? The scriptural allusions in the above excerpt refer to a biblical episode wherein a burning coal of an unspecified substance is placed upon Isaiah’s lips by an angel, assumedly for him to inhale its fumes, that is, for him to smoke it. “Lo,” said the angel. “This [burning coal] hath touched thy lips; and thine iniquity is taken away, and thy sin is purged.” Note that acacia or akakia, as Mackey related it in his Masonic Encyclopaedia, is suggestive of freedom from iniquity or sin. One wonders how far back this tradition stretches. Was the sprig of acacia added to Masonic ritual on account of its DMT content? Or did certain Freemasons who were privy to the acacia’s entheogenic mysteries take it upon themselves to interpret and apply it in that manner? We simply do not know. What we do know, however, is that DMT was not properly synthesized until the 1950s. The possibility that the compound was being extracted and employed by Alchemically-inclined Freemasons as early as the 18th century is therefore highly significant. Indeed, Masons have repeatedly touted the Order as a friend and protector of science. And, perhaps for the first time, it is beginning to look as though the Fraternity may have actually made a lasting contribution to the field. iv Founded by Martinez de Pasqually, the Elus Cohen was the first real High Grade system of Freemasonry. The Order was essentially theurgic in nature and as such instructed its initiates in ceremonial magic. According to Arthur Edward Waite, Cagliostro borrowed liberally from Pasqually’s system. vi Created after the publication of Sigmund Richter’s The True and Perfect Preparation of the Philosopher’s Stone, by the Brotherhood of the Order of the Golden and Rosy Cross (1710), the German Der Ordens des Gold und Rosenkreuzer was the very first Rosicrucian Order to surface following the initial publication of the Rosicrucian manifestos in the early 17th century. Like the Fratres Lucis, the Order was limited to Master Masons and instructed candidates in an Alchemical interpretation of Masonic ritual. It was from their ritual papers that the Masonic Rosicrucian Order Societas Rosicruciana in Anglia, the immediate predecessor of the Hermetic Order of the Golden Dawn, was constructed. Save a few changes, both S.R.I.A. and the H.O.G.D. (as well as Aleister Crowley’s A.A.) retain the original Grade structure of Der Ordens des Gold und Rosenkreuzer. Campbell, Joseph. The Hero with a Thousand Faces. Novato CA. : New World Library, 2008. De Hoyos, Arturo. “The Rite of Strict Observance and Two High Degree Rituals of the Eighteenth Century.” Collectanea vol. 21 pt. 1. The Grand College of Rites, U.S.A. 2010. Grand College of Rites. “Fratres Lucis.” Collectanea vol. 1 pt. 2. Grand College of Rites, U.S.A. 1978. Faulks, Philippa. The Masonic Magician: The Life and Death of Count Cagliostro and His Egyptian Rite. Watkins, London. 2008. Mackey, Albert G., Encyclopedia of Freemasonry and Its Kindred Sciences., New and Revised Ed., New York and London. 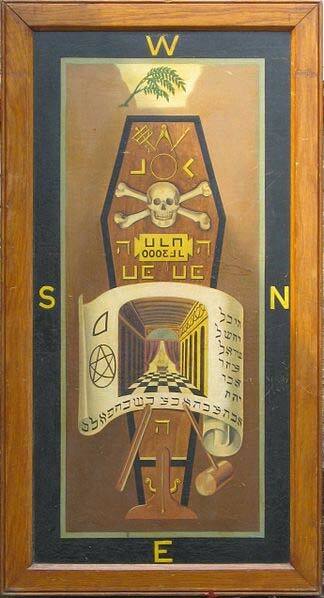 : The Masonic History Co., 1919. Mackey, Albert G. The Symbolism of Freemasonry. New York, NY. : Clark and Maynard, 1869. P.D. Newman is a 32° Freemason and a Rosicrucian. 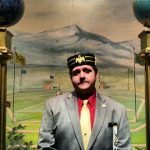 He has had papers published in The Scottish Rite Journal, Knight Templar Magazine, Ad Lucem, The Square, and many others. 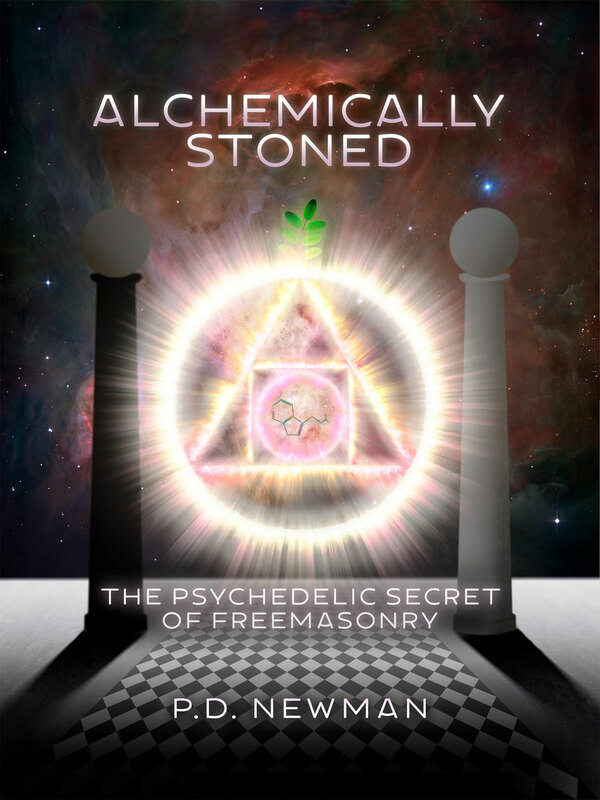 His book Alchemically Stoned: The Psychedelic Secret of Freemasonry explores the use of dimethyltryptamine by select circles of Freemasons via a psychedelic species of acacia during the eighteenth century. Very interesting. Thank you. The word acacia comes from Greek akakia which, in turn, derives from Sumerian symbols: A, to flow, and KAK, the nail, linked to KA-KA, the voices: the flow of nails, the flow of voices/words, the truth. I added the following biblical source to explain the presence of A-KA in The Story of Sukurru, re-translation of a Sumerian text: The Teacher sought to find delightful sayings and write words of truth accurately. The words of the wise are like goads… (…) like firmly embedded nails. The sayings are given by one Shepherd. Ecclesiastes 12:10-11. I don’t think it’s unreasonable to suggest that, beyond the contextual notion of speaking truth, this refers to the use of acacia for enlightenment. If so, then it can be traced back to at least 2600 BCE and to Mesopotamia. THE STONE OF THE PHILOSOPHERS. BY AN ANONYMOUS GERMAN PHILOSOPHER. I’m not positive how reliable the sources but there seems to be many writings that suggest the philosophers stone is not made from plant based materials. Oh, and yet you quote: “Plants and trees, with all that they produce, may be consumed by fire, and leave nothing behind BUT THE DUST OUT OF WHICH THEY ARE MADE, AND THE SALT which at the first creation of their species they received from Nature” — which sounds to me remarkably like extraction of DMT from a plant. I take your point that the reliability of your sources is questionable; your “anonymous German philosopher” may not be of the same class or order of Freemason as PD Newman, who seems to make it very clear that SOME orders likely used DMT extracted from acacia. A very good article on the area of “alchemy” we call the entheogenic level, Level 2. Level 1 is the reading of various books to get an overall idea of the alchemical emanationist model of cosmos. A great example is the Rosicrucian Golden Chain of Homer, which appeared in that period wherein chemistry and more precise experiments on that level were coming out of the secretive alchemy traditions. One has to understand that most alchemical texts (there are thousands in the British Museum) are from dabblers and guys messing around, from the serious to the magical con-artist. The real tradition is very much underground, but certain texts are constantly being republished by the hidden masters. The entheogenic initiation is the level this article deals with. Coming out of the gnostic “mystic” state (foggy misty vision) into Level 2: “epoptae,” ‘eyes opened.” One who has done preliminary plant work (“spagyric”) involving the separation of plant (even mineral) matter into an oil (sulphur), ash or salt, and mercurial spirit expressed as alcohol, the Paracelsian 3 body model, is now prepared to see deeper… IF he is philosophically fluidic enough to move past the elements model which still dominates today. To see fundamentals underlying those. Now the student is ready for moving into Level 3: the actual lab work for the Stone. The true alchemists very often expressed themselves in a spiritual manner, meaning they believed Cosmos was an emanation from the progressive fractal concatenation of God’s Will or Intention. As the Will acted upon ItSelf, in a mirror-like method of Self-reflection, the feedback loop of Consciousness upon consciousness produced, level after level, the spiritual kingdoms down to the animal, vegetable, and mineral. BUT in all of these, the Prime Mover or Agens, Spirit of God, which as a moving mutable Intelligence is called Mercury, is at the core of each and every “body.” So the first Big Part of the Quest is to find the Subject matter in which this core Mover or Spirit may most easily be released, by proper digestion and heating. However it is considered that there is really only ONE subject which is the most “evolved” and best suited for use. In so many of these articles I see by moderns on alchemy, it is clear that they have NOT read many texts or they would have resolved these apparent contradictions. That is how the true ones wrote: in a poetical manner which presented imagery to the subconscious mind where it would communicate non-verbally; meanwhile in the textual parts they contradicted themselves to confuse the purely mental and analytical minded, which is the egoic level, and not to be encouraged to discover anything that might lead to further egoic sense of power and gratifications. Thus any and all things are at various places denominated the so-called Subject. To split hairs over whether IT is found in animal or vegetable, or mineral matters is to show one has NOT moved into the philosophical state of seeing beyond the forms Mercury takes. For instance, we think of “blood” as animal (in plants it would be sap). Yet what part of the animal form is not based on elements which are “metal” or “mineral?” When combined with water which is a fundamental expression of stars in their true nature as plasma flowing electricity, we see that star water is everywhere. Add water + minerals PLUS moving consciousness and you have all the components in the body. Consciousness is expressed thru electrically flowing plasma currents which tie all the stars and cosmos together in an arterial system of filament’s. Today the Electric Universe model is showing daily that the vision of the old spiritual alchemists is correct in so many ways. Of course the old boys were subject to the models of their day. But they saw first and foremost the presence of God as connective tissue as the lattice web behind the world we perceive daily in our default state, the product of sense limitations and conceptual blinders. Thus Level 2 of the entheogenic awakening is very important, but it is NOT the entire alchemical process. To limit that to Jungian psychic integration or entheogenic visions is to confuse the first stages with the Proof of the latter: namely, that the Stone, and YOU, are Star Fire condensed and congealed. The article references a “red drink” and I am surprised no one connected this to the possibility of a pharma-huasca made from acacia and Syrian rue as the MAOI. I know of a number of European mystic traditions aware of such, and of moderns who have tried this and it works as a Western ayahuasca. Surely he means ‘out of body’ experiences, and not ‘outer body’-? Or does he?